Four purse bid hearings scheduled for February 6 were postponed one week by the World Boxing Association. Its current load for the revised date will be at least one fight lighter. An ordered title defense between Daniel Roman and Murodjon Akhmadaliev was among the four bouts subject to a rescheduled February 13 purse bid hearing. However, the super bantamweight title fight has been removed from the ledger, as Roman has been granted an exemption by the sanctioning body to pursue a title unification bout with TJ Doheny. Roman (26-2-1, 10KOs) has for weeks been linked to a potential unification clash with Doheny. Rumors of a springtime collision in Roman’s home region in the greater Los Angeles area have recently surfaced but could not advance beyond the talking stages until such a bout came with the WBA’s blessing. That moment has finally arrived, which figures to lead to an official announcement for a 122-pound title unification. Outside of the alphabet politics, such a bout figured to be easy to make as both boxers are aligned with sports streaming service DAZN USA. Roman appeared on the platform’s first stateside edition, scoring a 10th round stoppage of Gavin McDonnell last October in Chicago. The feat marked the third successful defense of the title he won in Sept. ’17, scoring a 9th round stoppage of Shun Kubo on the road in Kyoto, Japan. The 28-year old from Los Angeles has now won 18 straight dating back to Oct. ’13. Doheny (21-0, 15KOs) was also required to travel to Japan in order to acquire his share of the 122-pound crown. The 32-year old Irish southpaw—who fights out of Australia—scored a minor upset in outpointing Ryosuke Isawa last August in Tokyo for his first major title win. From there came his debut on DAZN USA, coming this past January in an 11th round stoppage of Ryohei Takahashi at Madison Square Garden’s Hulu Theatre in New York City. His late addition to the show only intensified rumors of an eventual showdown with Roman, a bout which will undoubtedly stream live on DAZN once finalized. News of the canceled purse bid now leaves Akhmadaliev (5-0, 4KOs) forced to look elsewhere for his next ring opportunity. The prodigious 24-year old from Uzbekistan—who captured a Bronze medal during the 2016 Rio Olympics—sprinted to title contention after having just turned pro last March. Akhmadaliev ended his first calendar year in the pro ranks with a televised undercard appearance on the last ever edition of HBO’s World Championship Boxing series. He made the most of the opportunity stopping Isaac Zarate in the 9th round of their supporting contest to managerial stablemate and unbeaten light heavyweight titlist Dmitry Bivol’s 12-round win over former lineal champion Jean Pascal. Bivol recently signed a lucrative deal with DAZN, with his platform debut due to come March 9 in a title defense versus Joe Smith Jr. With the signing of Bivol came an open path for manager Vadim Kornilov to showcase his deep and talent-rich stable, Akhmadaliev included high among the lot and figuring to land on a DAZN card in the near future while remaining in pursuit of his first career title fight—with any luck against the Roman-Doheny winner, or even Roman should the eventually signed bout result in a draw. “We didn’t object to Roman wanting to take the unification bout with Doheny, but wanted to wait on the final decision from the WBA,” Kornilov told BoxingScene.com on Tuesday. “The WBA reached its final resolution (on Tuesday), so now we will look to get Murodjon in the ring around that same time as their unification fight. Purse bid hearings for three more ordered bouts still remain on the WBA’s schedule for February 13. Chief among them, unified lightweight titlist Vasiliy Lomachenko is due to make a mandatory title defense versus former title claimant Anthony Crolla. The significance of that ordered contest has greatly increased upon the revelation that Lomachenko’s intended three-belt unification bout with Richard Commey is now in jeopardy. The two were tentatively penciled in for an April 12 date, but a knuckle injury suffered by Commey in Saturday’s 2nd round knockout of Isa Chaniev could cancel those plans. The recently crowned IBF titlist is scheduled for an MRI on Thursday, at which point he—and Lomachenko—can better determine next steps. Interim heavyweight titlist Trevor Bryan has been ordered to face fellow unbeaten Jarrell Miller as part of an ordered four-man heavyweight title consolidation tournament. However, that bout might not push forward as Miller remains hotly linked to a June 1 clash at Madison Square Garden versus unbeaten, unified heavyweight titlist Anthony Joshua. Such a bout would mark the stateside debut for Joshua, along with the latest interruption in what has been a years-long struggle for the WBA to get its slew of secondary titlists and contenders in the ring together. 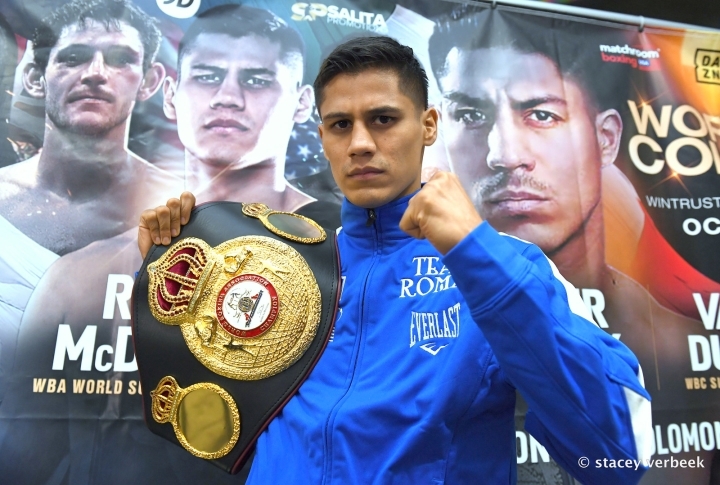 The one ordered purse bid that stands the best chance of pushing through is that of a cruiserweight clash between secondary titlist Beibut Shumenov and unbeaten interim beltholder Arsem Goulamirian.